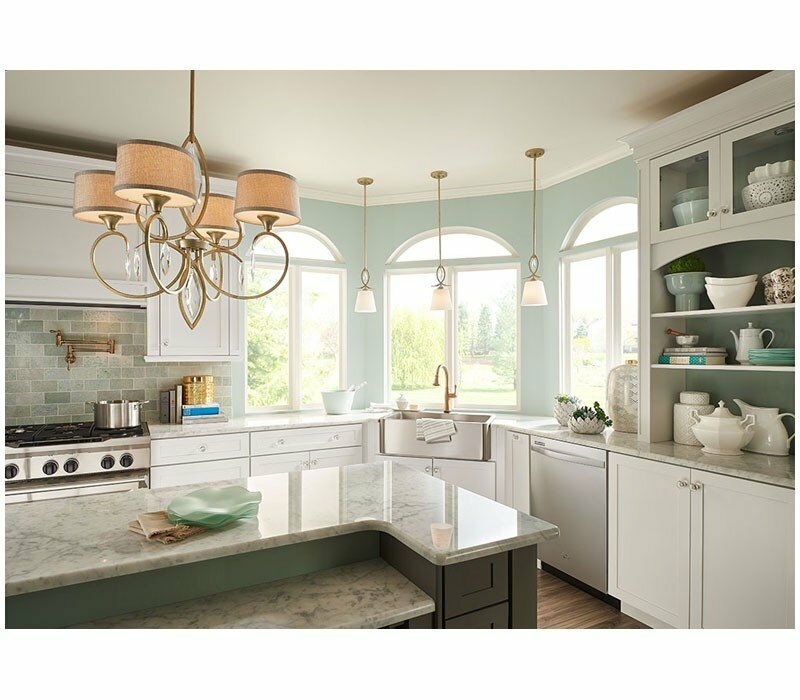 Featuring stunning cut and polished faceted crystals, this 1 light mini pendant from the Casilda Collection is a decorating coup for the updated traditional lifestyle that inspired it. The crystals dazzle alongside the Olde Bronze finish while the Silver Beige fabric shades and satin etched diffusers complete the look. 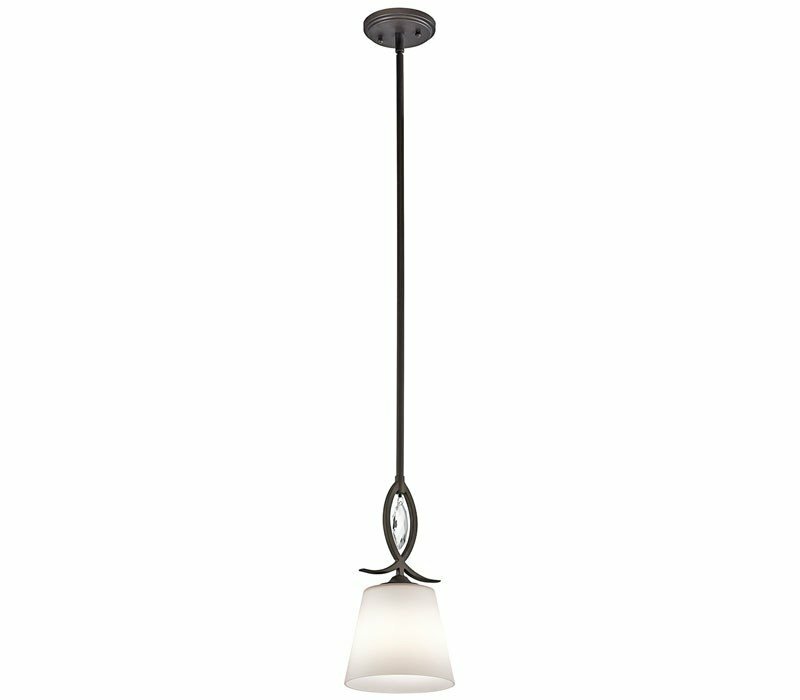 The Kichler 43568OZ Casilda collection Pendant Lighting in Olde Bronze uses Incandescent light output and brings Decorative style. This item is 13.5"H x 7"W. The total wattage is 100 and the voltage is 120 volts. 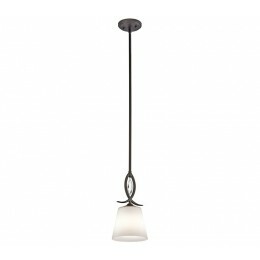 The Kichler Lighting 43568OZ requires 1 bulb (not included). Additional Information: Shade-Silver Beige Fabric Shades.